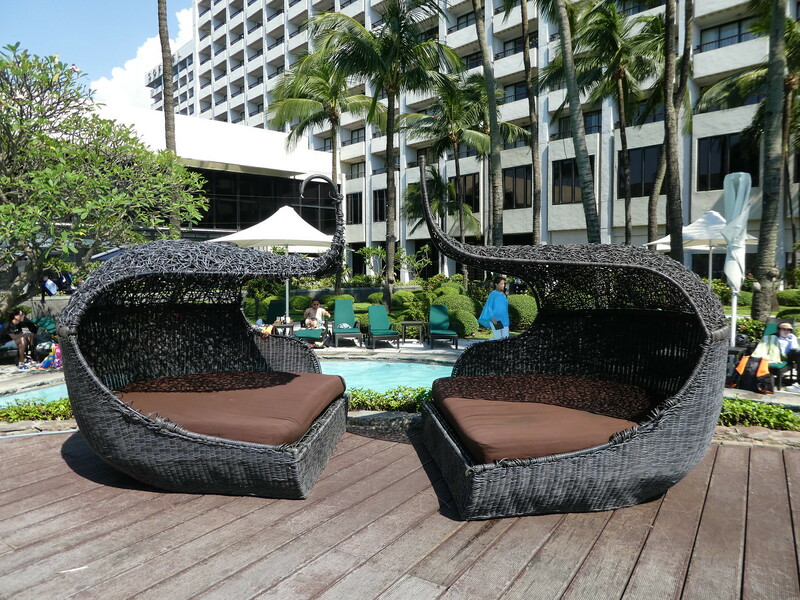 We enjoyed a long, leisurely Sunday morning breakfast in the Sofitel’s attractive Spiral’s restaurant enjoying glasses of Prosecco alongside our usual cups of coffee. 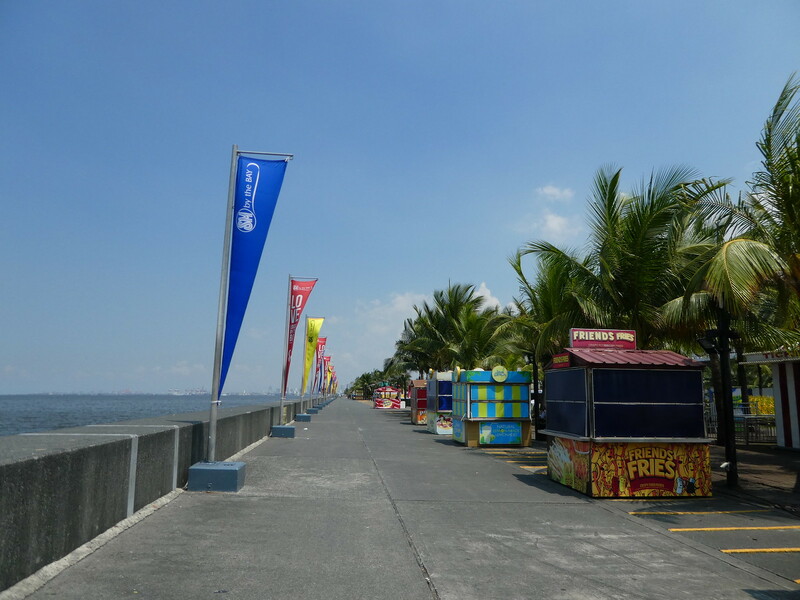 The hotel runs a free shuttle bus service to the nearby Mall of Asia so we took the opportunity to have a look around and boarded the bus at 10.30 a.m. taking less than 15 minutes to reach the shopping mall, part of which overlooks the sea. We decided to explore the coastal area first and here we found a small funfair with a selection of cafes and restaurants. 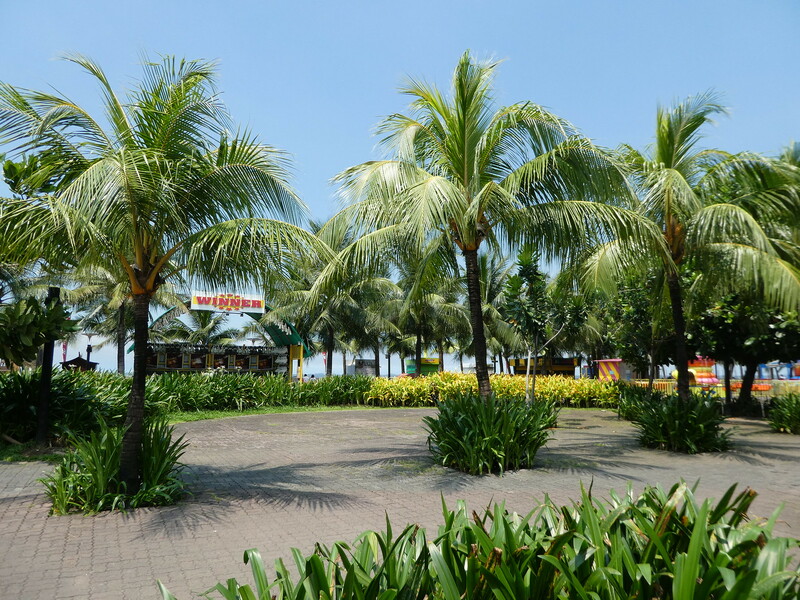 The view looking out to sea wasn’t as good as from our hotel but we enjoyed a brisk walk along the palm tree lined promenade before looking inside the numerous malls. The shopping centre seemed quite fragmented and each time we wished to go into another section we were subjected to brief airline security checks. Wandering around, we didn’t find the Mall of Asia to be particularly inspiring as it just contained a range of stores selling everyday essentials rather than something special. Before leaving, we went into one of the banks and exchanged a little more cash into Pesos. We usually use ATM’s but the Philippine banks charge a flat rate of 250 Pesos per transaction so it was better value to take a small amount of cash and change it as required. We actually only needed cash to pay for taxis as everywhere else accepted our credit cards. Despite only changing £20 at the bank, it was a very bureaucratic process of form filling and producing ID. I hardly think we could have been suspected of money laundering over such a small amount of money! Mission finally accomplished, we just had time to buy a few bits and pieces from a large supermarket before returning to the hotel on the 12.00 noon shuttle. Bizarrely, the supermarket was playing Christmas music over its loudspeakers despite it only being late September. We didn’t find out the reason but it did seem very strange. Back at the hotel, we picked up our books and iPads and went to sit by the pool for a couple of hours. Finding a pair of wicker basket seats with soft, padded cushions I only managed to read a couple of chapters before dozing in the warm sunshine. Our plan for the remainder of the day was to take advantage of the hotel’s other free shuttle service, this time to the Green Belt Malls in Makati. This service only operates once a day at 3.00 p.m. with guests needing to make their own way back. There were only two other guests on board and as Sunday afternoon traffic seemed light, we arrived there in about 20 minutes. It was our first visit to Makati which is the central business district of Manila and home to skyscraper office blocks, upscale hotels and the Green Belt Malls. 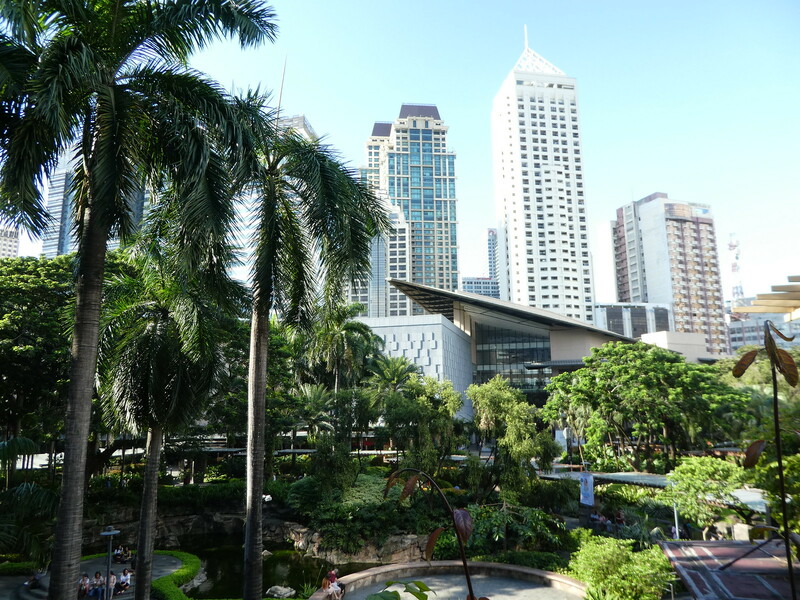 We were pleased that we had made the effort to visit as the collection of five interconnected malls were far superior to the one we had visited earlier in the day. 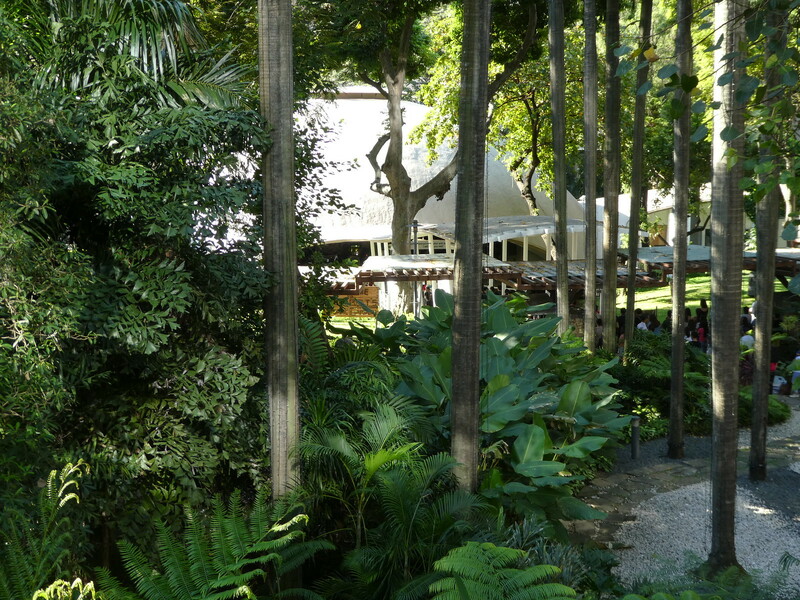 The shopping complex is arranged around attractive tropical gardens with shaded outdoor seating. At the heart of the complex is a chapel where a Sunday service was taking place. The service was relayed outdoors through speakers with large numbers of worshippers taking part in the service from the nearby gardens. The entire shopping experience was much nicer than the Mall of Asia with smaller, higher quality shops together with a wider choice of restaurants and cafes. On the upper level we had a light snack of panini and salad in a French styled cafe before returning to the hotel by Grab taxi. Again, this was easier said than done as the shopping mall offered free wi-if but we were unable to get it to work on our phones. Rather than get a regular taxi, we continued walking further along the road, eventually finding a coffee shop from where we were able to order the Grab. We returned to our hotel in style, sitting comfortably in a large 4×4 for the princely sum of 175 Peso (£2.40). Unlike the previous two evenings we hadn’t pre-arranged a restaurant for dinner and decided to go out for a walk along the bay to see what we could find. Less than 15 minutes walk from the hotel we noticed a rooftop restaurant with live music so we climbed the stairs to investigate. 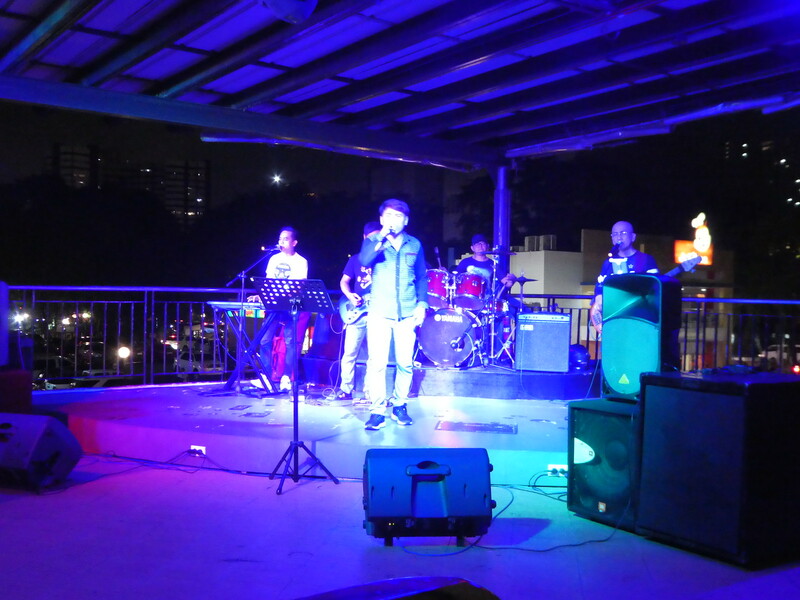 It looked pleasant with a varied menu and the 7/ piece band added to the atmosphere. 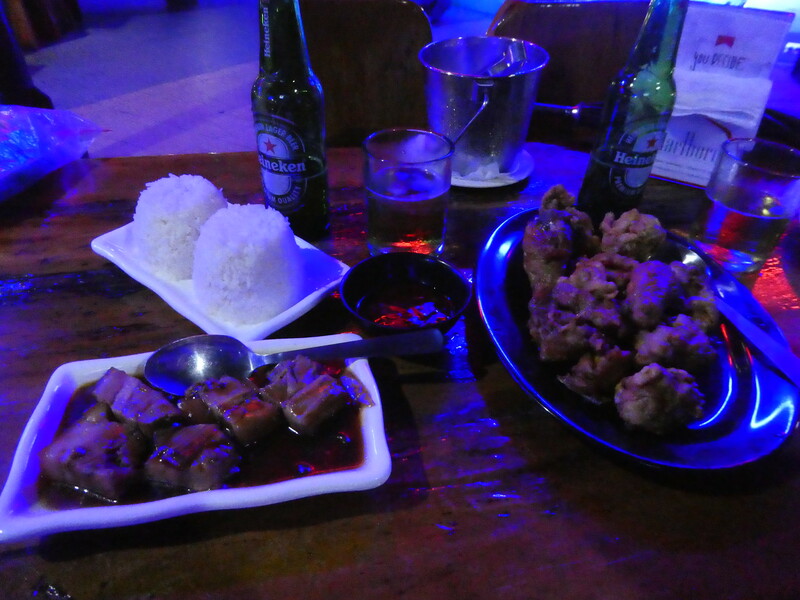 We ordered a couple of sharing dishes, one of them being a different version of the Filipino national dish we had eaten at Ilustrado the previous evening whilst the other was a tasty plate of fried chicken. We timed our return to the hotel to perfection as just as we were heading up the driveway large spots of rain began to fall so we just got back in time. Before going to bed we started to pack our suitcases for our onward journey to Hong Kong the next morning. Thank you for your kind words. 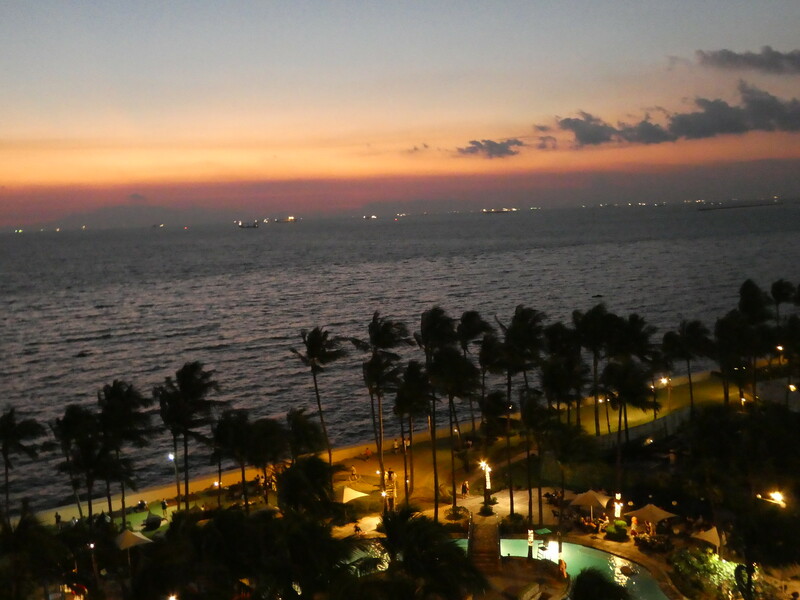 We enjoyed our visit to Manila and would like to make a return visit sometime. It was lovely to read your comments about my visit to Manila. I’ll take your advice about money changing next time I visit. I used to buy tasteful souvenirs of places I visited but I don’t do it so often now as we would be totally cluttered up. Of course I do make exceptions if we see something we really like and can think of a place it could go. My travel memories are mostly now in my photos and my travel writing. What subject did you teach at the university Ian? I’ve taught a series in different places over the years for corporate business and administration subjects. Thank you for letting me know, it sounds interesting. That sunset truly is beautiful Marion. A top trip for you!! Thanks Sue, Manila was very interesting and the food delicious. Hope the Canberra temperatures have dropped somewhat now and it is more pleasant. It has Marion. Nice breeze today but still little bit warm. Wow, what a beautiful place! Regarding the Christmas music in September – I recently heard a story about this. Filipinos’ Christmas season begins on September 1st (whereas in the US it’s not until Thanksgiving). I’m not sure the story ever explained why it began so early in the Philippines though. Thank you Marsi for your kind words. Starting.the Christmas preparations in September seems excessively early and it’s nicer to wait until mid-November at the earliest for the festivities to begin! Looking forward to reading about your adventure in Hong Kong . 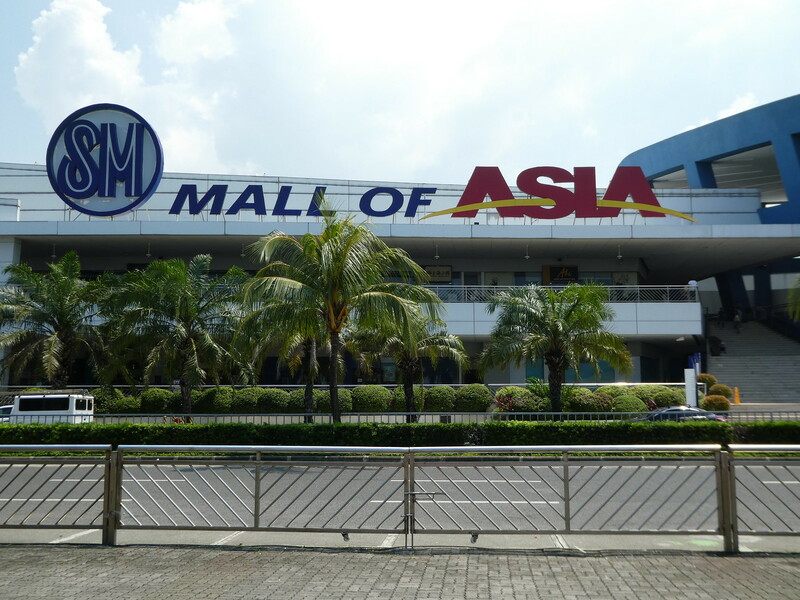 I have heard of the Mall of Asia before but it didn’t seem like it was that great a place. The food looks good and entertainment to go along with it is a bonus. Thank you for continuing to take an interest in my posts on Manila. The food everywhere tasted delicious and the service was always attentive and friendly. Thanks Monique, that explains it then. We were visiting in September! Thank you Pooja. 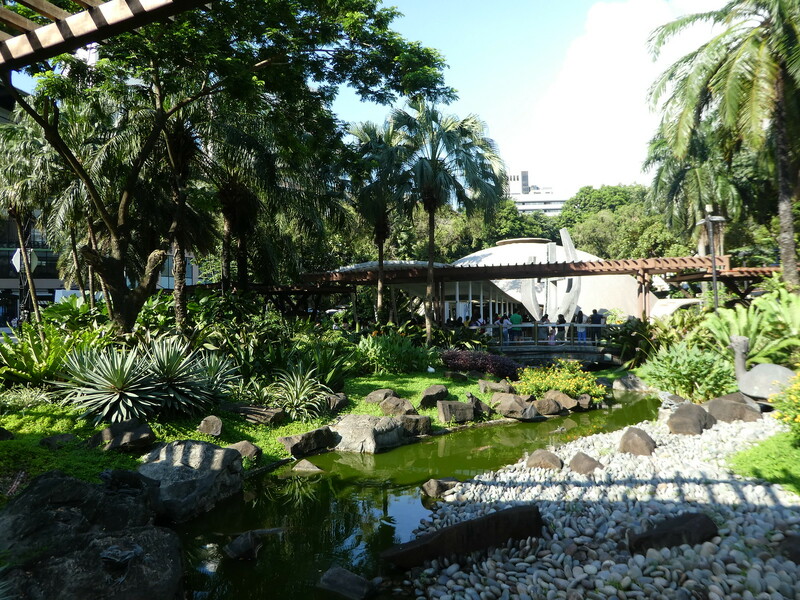 We found lots of nice things to see and do in Manila. What a place. So beautiful. Travel is hardly ever bad, is it. 😉 Glad you enjoyed your time.